You have TWO WEEKS to play along - Deadline to enter is Friday, June 30, 2017 at Midnight CST. The winners will be announced on the NND blog the following Monday. 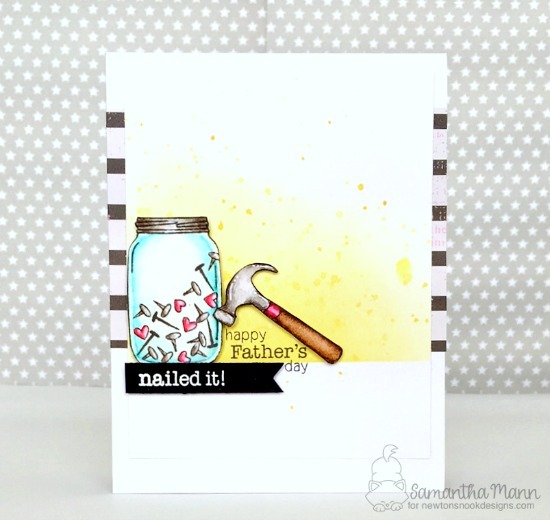 Samantha created a creative Father's Day card using Around the House, Lovely Blooms, and Winston's BBQ. Jess created this bright fun card using the Koala from Hanging Around and a sentiment from In Slow Motion. Tatiana created a bright fun background featuring Newton Rides West. 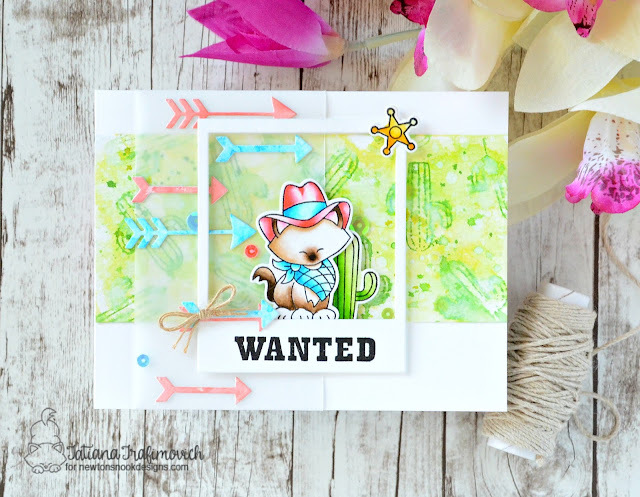 Debbie's card featuring Newton's Happy Mail. 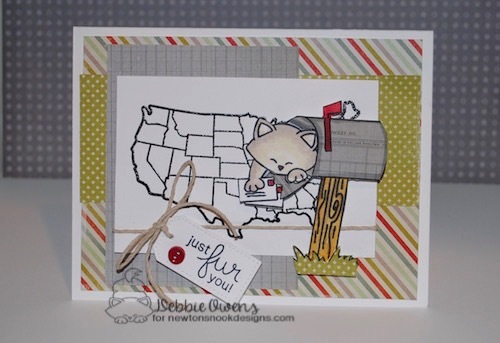 Who wouldn't want some happy mail with this feline fur ball on it?! 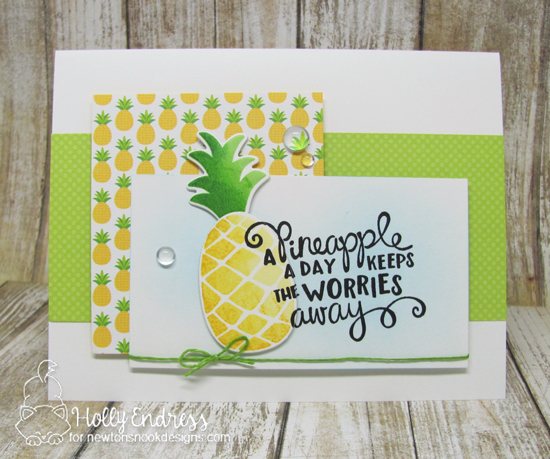 Holly created this summery sweet card featuring Pineapple Delight Stamps and Dies. 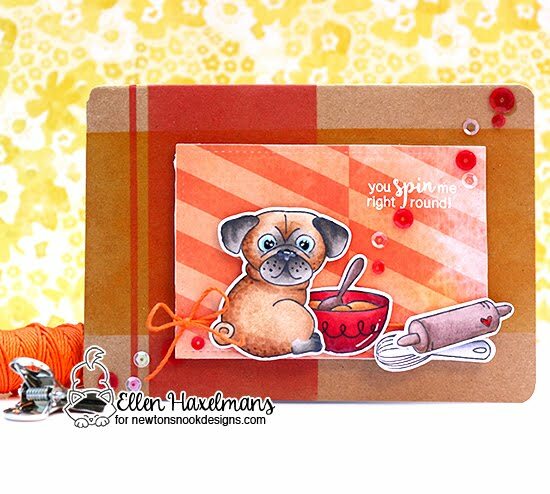 Ellen created is cute mix of cake and puppies for her card featuring Pug Hugs and Made from Scratch. Omg! 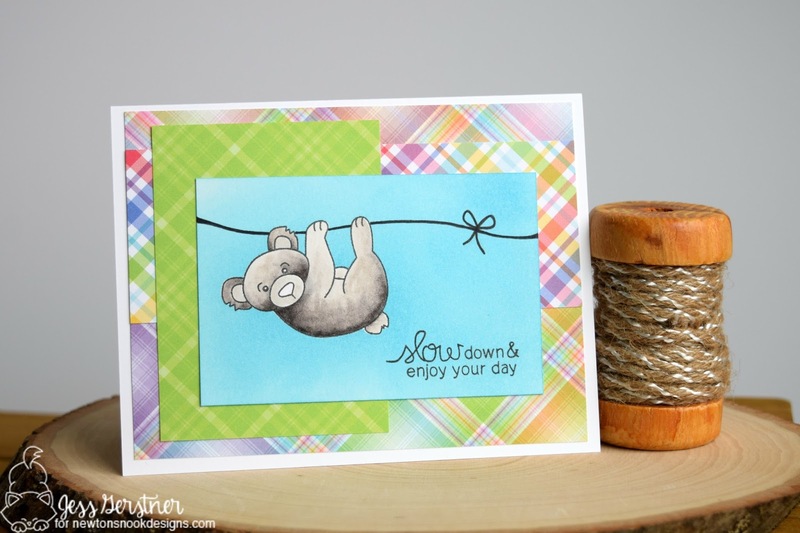 Love all those fabulous cards and how everyone interpreted the sketch! All these projects are very inspiring!!! Thanks for the fun sketch and awesome inspiration. Thank you for a fun sketch!! These are all SO cute! Glad I could make it this time!